After a long walk around Streets of Barangaroo, go to this restaurant and have a rest here. 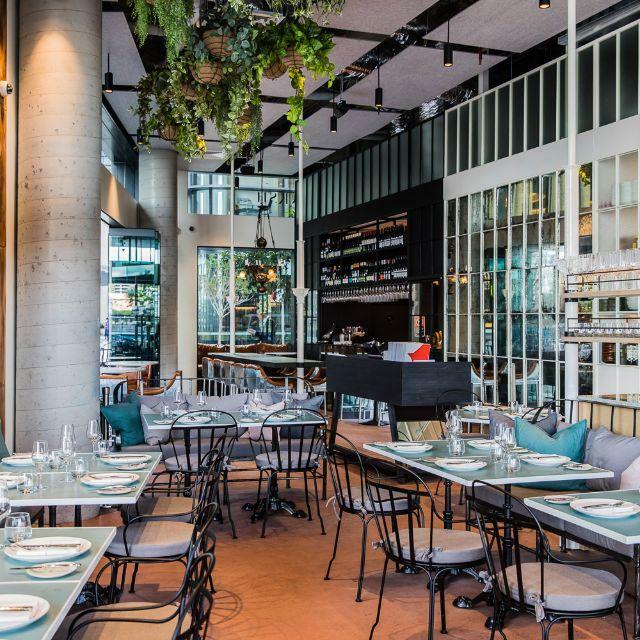 Tourists appreciate Australian and Mediterranean dishes at Banksii. This place guarantees you tasty gnocchi, beef ribs and chicken liver pâté. Many guests come here to enjoy good trifle, petit fours and chocolate mousse. You will hardly forget delicious vermouth, wine or Spritz that you can drink. A cosy atmosphere and beautiful interior make this spot so good. A number of visitors find the waitstaff attentive. 4.3 is how people rate this restaurant on Zomato. Compliments to Vermouth Bar & Bistro... great venue, great staff with great service. Looking forward to visiting again. Went for a family birthday dinner. Great food, good service. Cocktails delicious. What’s not to like?